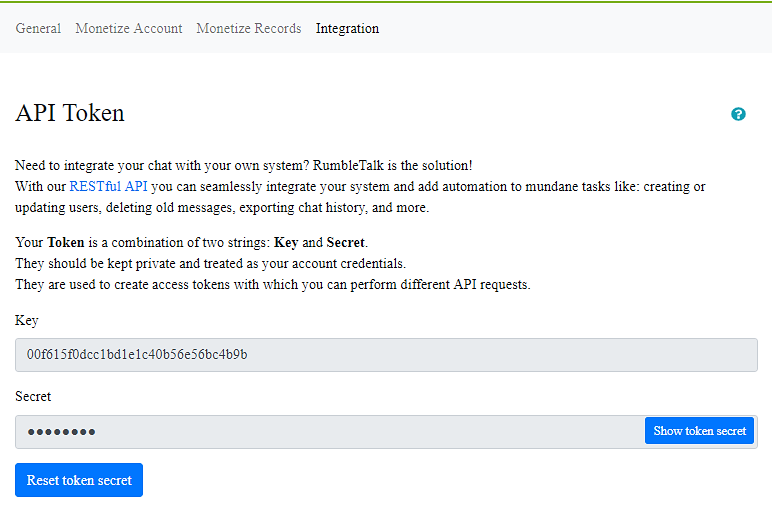 With RumbleTalk RESTful API, You can create and manage your chat. It is a powerful option for developers that allows them to control any aspect of the chat. Note, The RESTful API is authenticated using OAuth 2.0. Keep your token (key and secret) hidden, to prevent any security issues. Previous postHow to switch the chat to be offline?